I take one bite and yup, it tastes like ice cream cake! As I take more bites, the amount of chocolate crunch fades as does it's impact on the flavor. It almost looks like the crunch is only on the edges. They also aren't that crunchy which is a shame. The topping is both colorful and sweet, with some texture, but not crunchy or hard if you were worried about that. I take a few more bites and wow, I found the crunchies! I take another bite or two and then flip over the chocolate side and WOW! So many crunchies! Now that is what I was hoping for, I just wish I had found this during the beginning of the treat, not near the end. 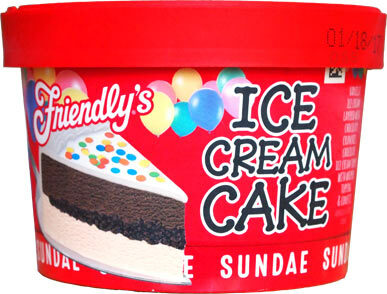 I know I tend to mock these cups because of the lower quality ice cream, but I do adore ice cream cake, and this one ended strong, so I'm ok with saying it's worth a try at a dollar. My big suggestion will be to scoop it out of the cup, figure out where the crunchies are hiding, and then attack from there. Oh, and if you discover that my cup was a fluke with the crazy amount of crunchies, then please let us know! 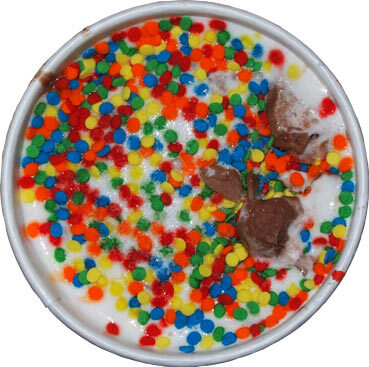 Speaking of ice cream cake, how come DQ has never come out with an ice cream cake blizzard? Ooh, Danielle, that's s good one! I love carvel cakes and was so excited to see this when it came out years ago. It's good but not carvel...but cheaper and easier without needing a party or occasion to justify the cost of carvel. My problem with the sundae cups in general is that they are too small. I guess I eat too big portions but I need more! That said, very curious about the chocolate cake one...hint, hint. 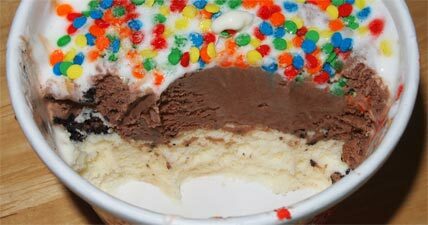 Oh an ice cream cake blizzard sounds fabulous!!! These would be very cute for kids. Happy 4th of July Dubba to you and your family! Hope it included ice cream. @Anne: no no, they are talking an ice cream cake flavored blizzard, not birthday cake. 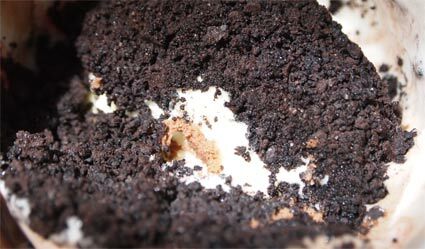 @D/D/E: It's not super informative, but looking at dqcakes.com makes me think they do have access to ice cream cake crunchies so technically they could do an ice cream cake blizzard and I would totally stand in line for one of those. @Anon: there was definitely lots of ice cream this weekend! To quell your curiosity, Deb--I've tried the Chocolate Kake Krunch one, and it is absolutely doused in fudge. And in similar fashion to Dubba's review, the crunchies were so unevenly distributed that it was barely a layer ice cream cake experience. Dubba, When I was 16 I worked at DQ and made cakes and blizzards. It never made sense to me why they just didn't throw it into the blender? Thanks anonymous! I love fudge so I may like it...especially if it's the forbidden chocolate ice cream. Wouldn't the blizzard be neat if jt had a core of that weird frosting? I love that stuff... kind of like a mix between ice cream and whipped cream.